After a much appreciated break it was back on the trail again as I headed out from Pemberton. So far in my journey this is by far the best maintained section of trail I have come across. 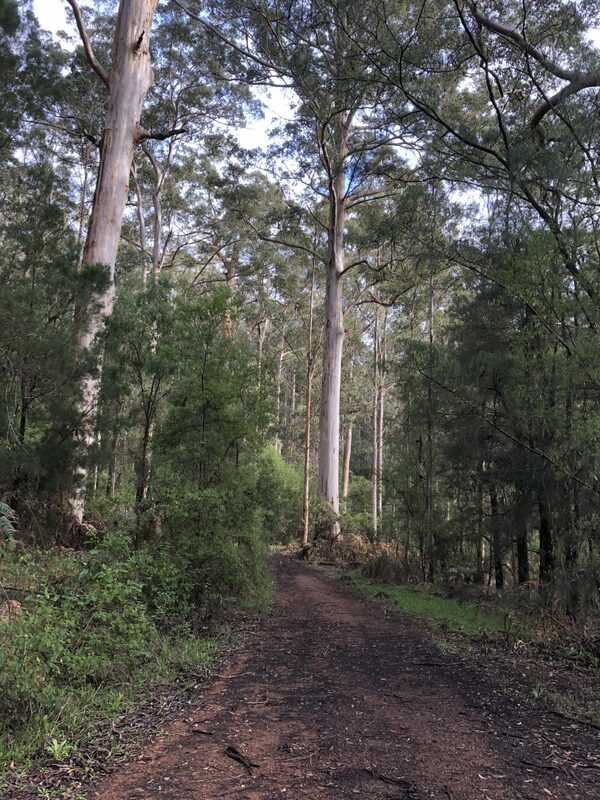 The first section was on management trail that left Pemberton and wound its way through the local arboretum but this wide clear trail continued for a number of kilometres and only really narrowed about two hours out from Beedelup shelter. While the amount of blown down trees would increase over the next few days, this section in the Pemberton area has definitely been looked after. In fact it looked like a machine had gone though at some stage in the past with much of the walking track wide enough for a vehicle. Today was also relatively easy and flat terrain to get through with large trees interspersed with smaller vegetation.